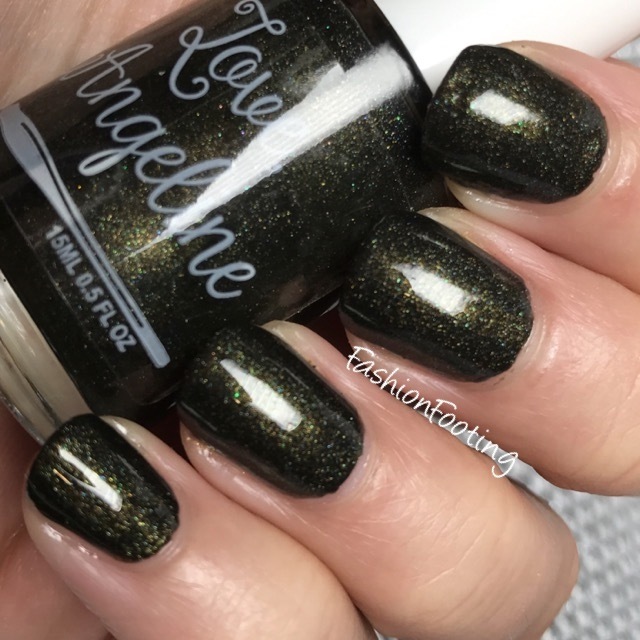 A quick post today to show you this gorgeous polish from Love, Angeline: 10/16. This is a deep olive green holo with some gold shimmer. Uhm hello. Are you seeing this? ARE YOU SEEING THIS COLOR I LOVE IT SO MUCH! It was also almost completely opaque in one coat but I had the tinies smallest bald spot in a few small areas so I added a second coat.